What exactly moves the NAV of a fund? 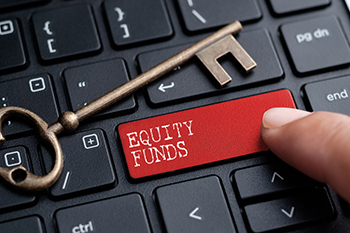 Why do equity fund NAVs tend to oscillate? Why do similar funds perform differently in the same time frame? We dig deeper to answer these questions. The price of an equity mutual fund is represented by its net asset value (NAV). Unlike stocks, funds do not quote at market price, but are designated a particular NAV on a daily basis. The NAV represents the value of the portfolio at current market rates, adjusted for costs and divided by the number of units outstanding. What are these costs? A mutual fund needs to incur a variety of costs such as establishment costs, transaction costs, distribution costs, advertisement costs, taxes and statutory costs, registry charges, and commissions to brokers. Obviously, these costs get debited to the fund and to that extent it reduces the total NAV of the fund. What is interesting is that all these costs are converted into a projected Total Expense Factor. This is divided by the total corpus and the expressed number becomes the Total Expense Ratio (TER) as we popularly know it. The TER is adjusted to the NAV of the fund daily on a proportionate basis. For example, if an equity fund with an AUM of Rs1,000cr has a TER of 2.3%, the total annual cost of Rs.23cr will be apportioned on a daily basis and the NAV will be reduced accordingly. But what exactly moves NAVs? Why do equity fund NAVs tend to oscillate and quite often different funds perform differently in the same time frame? There could be several reasons for the same. Let us say that two funds X and Y were opened for subscription two years ago. While Fund X mainly allocated funds to FMCG and IT sectors, Fund Y primarily allocated funds to PSU Banking and Upstream Oil sectors. As a result, the NAV of Fund X moved from Rs100 to Rs135 in two years, while that of Fund Y moved from Rs100 to just Rs112 in the same period. Therefore, portfolio selection matters a lot. Portfolio churn is all about the turnover of the fund. A fund that churns or in simple words, rebalances its portfolio twice a year is normal, but a fund that churns its portfolio 10 times in a year is surely overdoing it. When you churn your portfolio too often, you not only add a lot of transaction costs to your total bill but also tend to lose too many opportunities along the way by jumping from one stock to another. While it is essential for a fund manager to be open to ideas and receptive to new opportunities, a high churn rate normally works against the performance of an equity fund and hence its NAV also underperforms. You may wonder why redemption pressure would have an impact on equity mutual fund NAVS. The logic is simple. When there is redemption pressure, the fund manager is forced to dispose off quality stocks to create liquidity. All funds provide for some redemption; hence, the problem arises when redemptions tend to get bunched. These kinds of sub-optimal decisions are forced on the fund manager, and this leads to poor performance of the fund and reflects in the fund NAV. There are two ways to look at cyclicals from a fund manager’s perspective. Normally, around the bottom, cycles offer opportunities. We saw that in the sharp rise in steel stocks in the last two years when Chinese demand for steel started picking up. Fund managers had typically gotten into metals at that point of time betting on a spurt in demand. This implies riding on the positive side of a cycle. Cycles can also work against you if you latch on to them for too long. Alternatively, if the fund manager enters a particular cyclical sector at the top of the cycle, it can seriously impair the NAV performance. Two funds may look entirely similar in their portfolios. However, their NAVs may be vastly different depending on which stage of cycle the fund manager gets into these stocks. The TER is the total cost that gets debited to your daily NAV. TER differs across funds. For example, the TER is much higher for a fund with a smaller corpus than for a fund with a larger corpus. SEBI has prescribed a TER upper limit of 2.5% for equity funds as a base number. On top of that, there is a 30bps incentive for selling funds beyond 15 large cities. In addition, the annual maintenance charge (AMC) gets factors in the GST paid on the AMC, which gets debited from the NAV. When you add these up, the actual TER can be much higher. Given two funds with the same performance, the NAV of the fund with the lower TER will be greater.